Loyal MXS customer Ken Brough is no stranger to building vintage motorcycles. 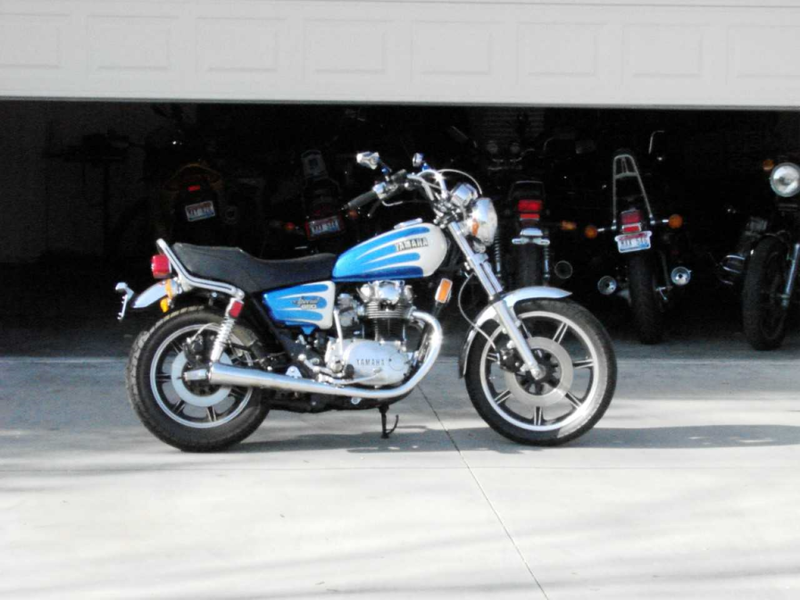 Check out his latest-and-greatest, a 1980 XS650 that stands out from the crowd. It has rapidly become my “Garage Queen”. I have put an additional 3k making sure all of the mechanical and safety stuff is top notch. Ken, we “get it” and thanks for choosing Mikes XS! Posted in Customer Bikes and tagged cafe racer, classic, custom, restoration, scrambler, tracker, vintage, xs650, yamaha. Bookmark the permalink. My dad bought a ’71 new. A little less than $2000 here in Canada. Gold paint. He ordered the shop manual that I still have along with the original bill of sale Rode it for 2 years,got sick and sold it to me. I took off one summer- down to the Florida Keys across to L.A. up the coast to Vancouver and home to Toronto. Over 10.000 miles. Mostly camped out.When it ran rough I could adjust the points and timing on the side of the road in 1/2 hour with a continuity light and a screwdriver.Vibration was brutal- Ford pu headlights were cheap replacements.Mirrors would explode and disappear.Kept a diary-funny to read now.Started vintage racing a ’73 14 years ago-Mikes 750 kit and fork emulators and Sudco carbs. Great fun. 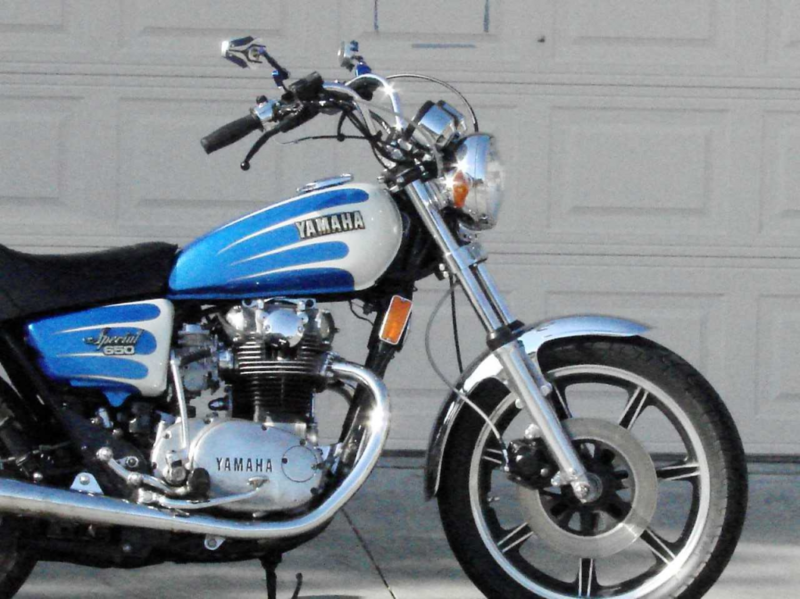 Sold it last year.I’m 70 and the dam thing is too hard to kick over.Racing a Rickman Kawasaki Z1 and a ’75 Z1 now.Apparently the Yamaha motor is in a vintage sidecar racer now. Been using Mikes fork emulators in the Z1 s.Just have to make the proper sized washer for them to rest on. Way cheaper than Racetech. 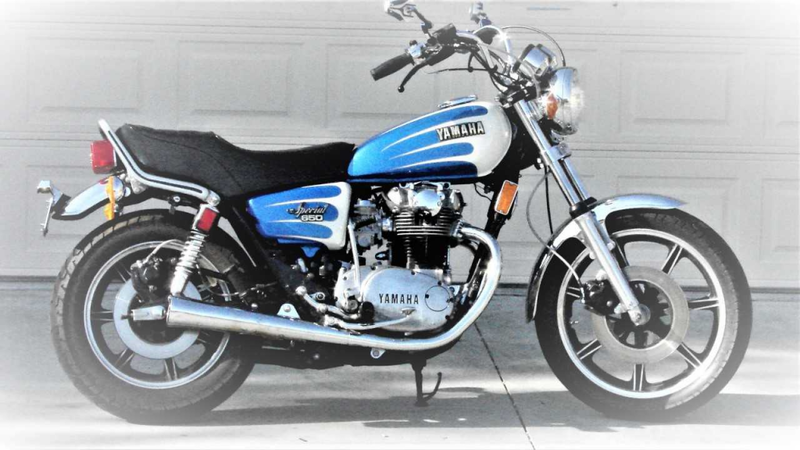 The Yamaha was a bullet proof motor. Great looking bike you have. I also have an ’81 Special 2. Custom paint, exhaust, and, rear shocks. Had my engine cases chromed,valve covers, brake pedal, and front engine mounts. LOVE this bike !! !